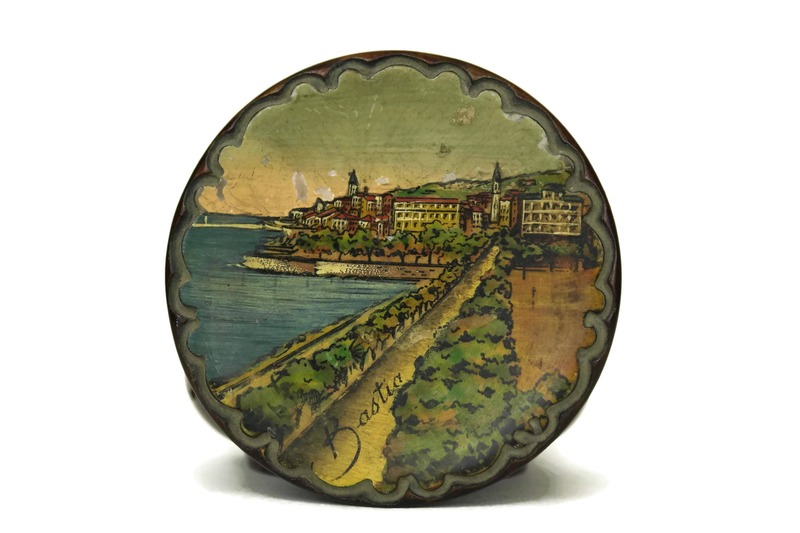 Corsica Souvenir Box. 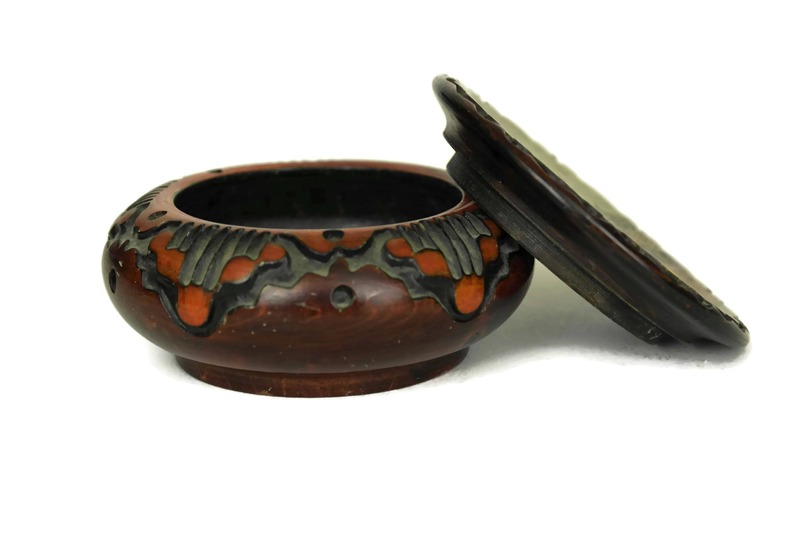 Carved Wooden Jewelry Box. 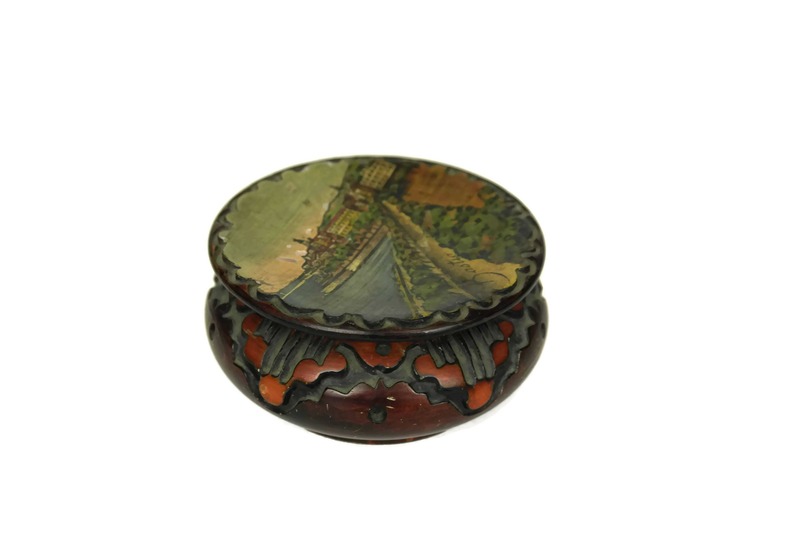 Vintage Hand Painted Trinket Dish. 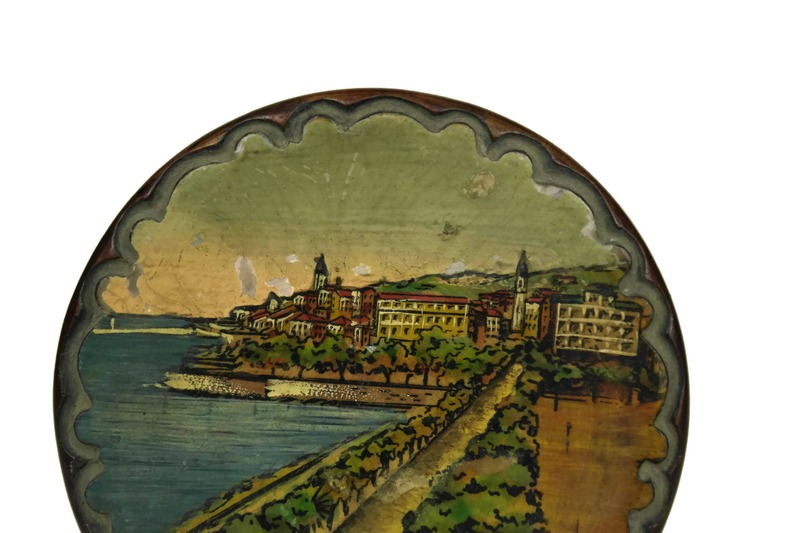 French Art Deco Painting on Wood. Bastia Panorama. 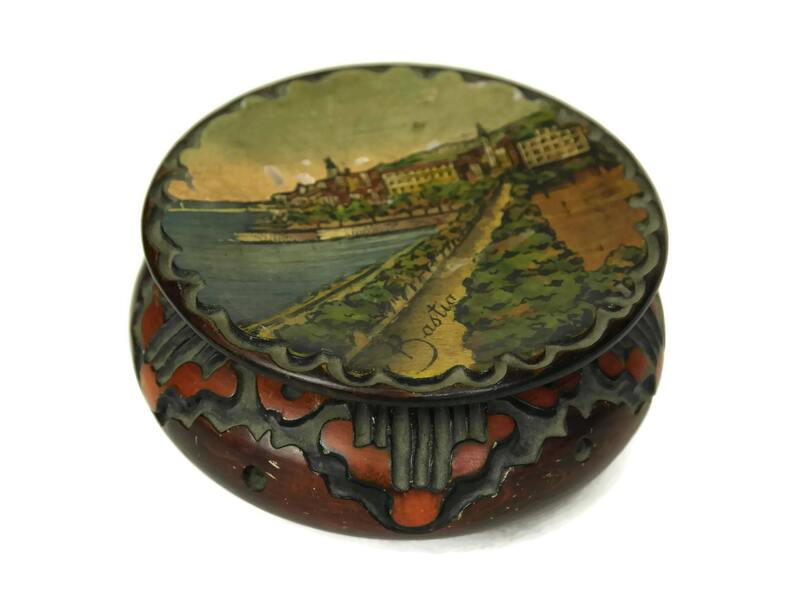 A lovely Corsica Souvenir box dating to the 1940s. 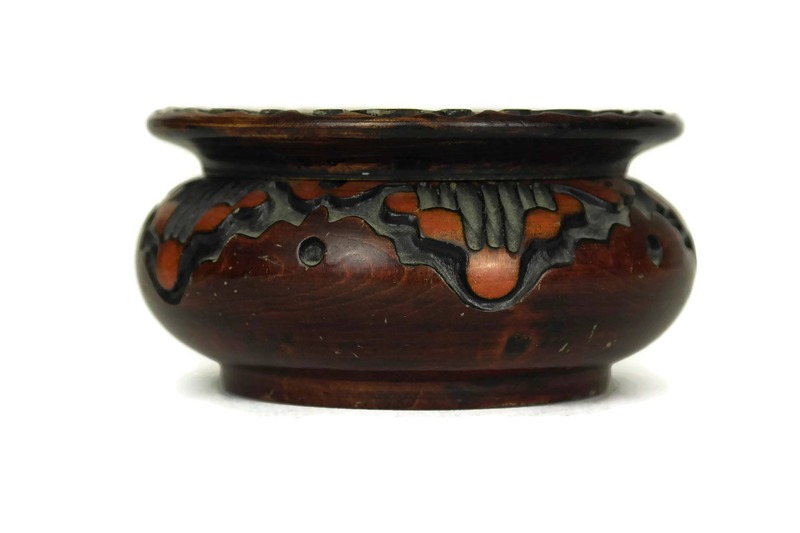 The jewelry box has been carved from wood with Art Deco pattern design. 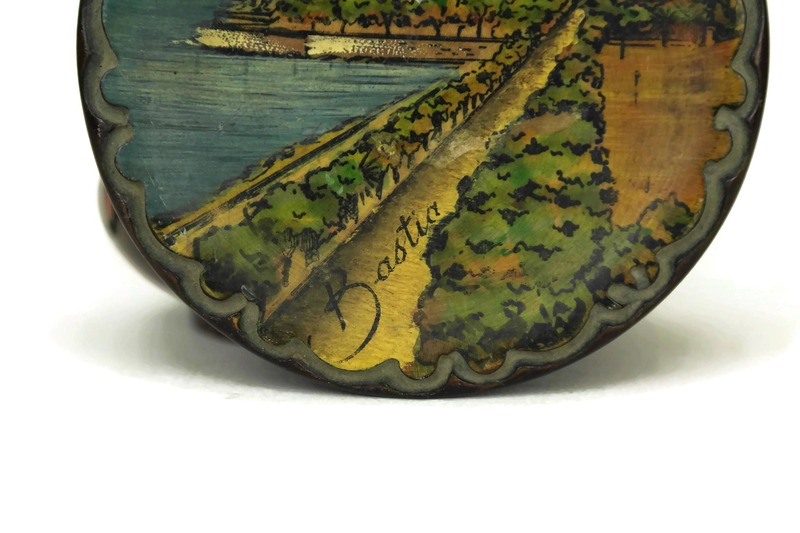 The lid has also been hand painted with a panorama of Bastia. 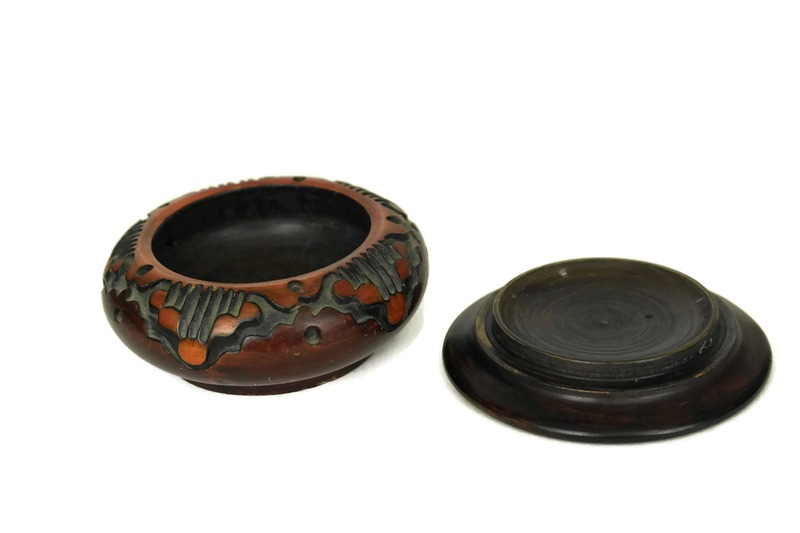 3 1/2" in diameter and 2" Tall (9,5 cm x 5 cm). 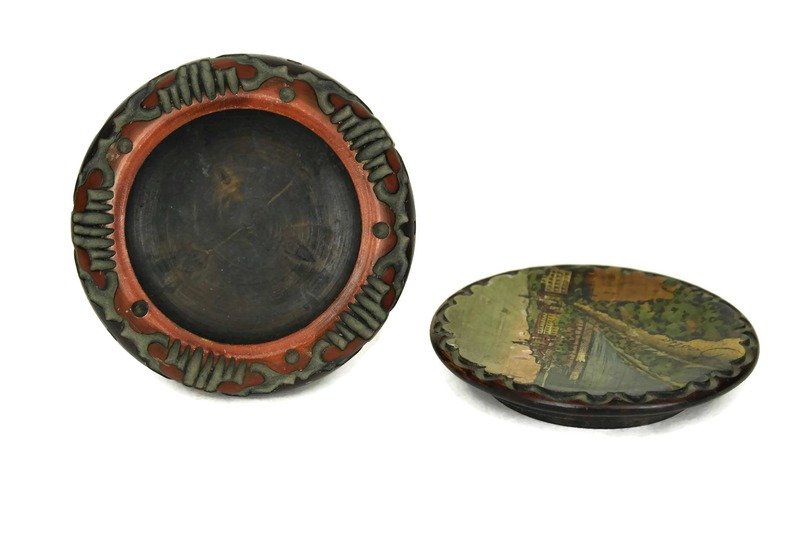 The French vintage trinket dish is in good condition with light wear and surface marks to the wood. 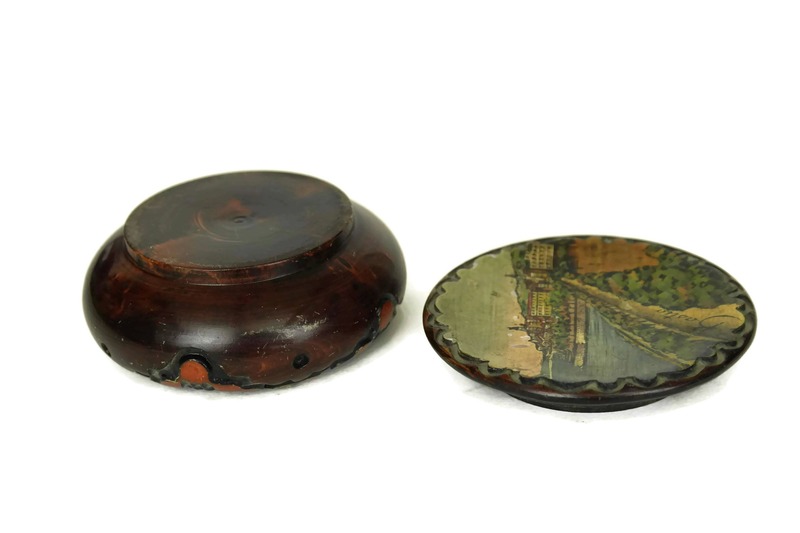 There are also some painting loss on the lid.